If you and the family need a fresh set of Droid devices for the holidays, then now is the time according to this latest tip out of Verizon. It looks like the entire Droid lineup of phones will be “BOGA” or “Buy One Get Any Phone Free” (of equal or lesser value) starting today and ending on X-mas Eve. 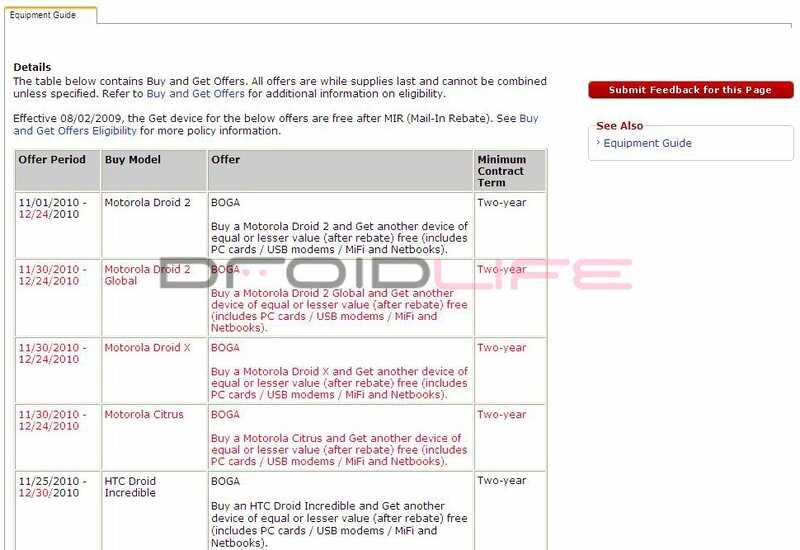 I don’t actually see the Droid Pro listed on there, but the Droid 2 Global is so you’ve got to figure that it’s included. Monday Night Poll: Motorola Olympus or Etna? Verizon Schedules 4G LTE Press Conference for Tomorrow, Launching December 6th?